Are you thinking of buying a house in or around Lake Keowee? It is a beautiful area, with a plethora of real estate opportunities. We invite you to learn more about this area. 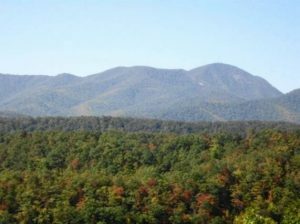 This area is also a hunters’ paradise with ample WMA land just minutes away. Fishermen enjoy a challenge of not only fishing on Lake Keowee but also on adjoining Lake Hartwell. With 962 miles of shoreline covering 56,000 acres, Hartwell is well known for it Striper bass fishing and the annual Bassmaster fishing tournament. This is an exciting region. Enjoy the small town atmosphere of Seneca and quaint “Ram Cat Alley” with its restaurants and shops. Cross Lake Hartwell, just five miles away, and you are in the “City” of Clemson and Clemson University. Few events are more exciting than seeing our 2016 NATIONAL CHAMPION Clemson Tigers play football in “Death Valley” surrounded by a sea of orange as 83,000 fans cheer. Wish to enjoy more than sports? The University reaches out to the community with an array of cultural activities including an ever-expanding continuing education program, OLLI – Osher Lifelong Learning Institute. Enjoy theater? Concerts? Clemson University attracts talent from all over the world and encourages residents to become part of the Clemson family. 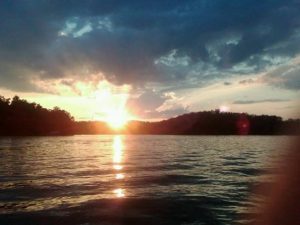 Lake Keowee, jewel of the Golden Corner, is nestled in the foothills of the Blue Ridge Mountains and is one of only two blue water lakes in South Carolina. It is clean, clear, is 22 miles long with 350 miles of shoreline and is 297 feet deep at its deepest. It is the perfect place to enjoy water sports of all kinds or just relax on one of the many islands in the lake. 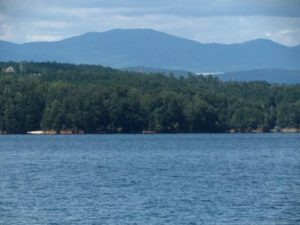 Lake Jocassee, 350 feet deep and one-third the size of Lake Keowee, feeds into Lake Keowee. Both are Duke Energy maintained and regulated . Depending on demand, water is pumped from Keowee to Jocasse in periods of low electrical demand and vise versa for periods of high demand, thus producing hydro power. The “back and forth” action filters the water. Therefore, you can look down and see the bottom twenty feet or more below when you stand on the dock. Keowee, in turn, feeds into Lake Hartwell, a Corps of Engineer lake. Lake Keowee is perfectly located. The Lake, at 800 feet in elevation, serves as a respite from the heat of the summer. Ready for some ocean fun? Historic Charleston or Savannah are only 250 miles away. Greenville’s Peace Center for the Performing Arts, just an hour away, offers another alternative. Greenville, a “jewel of the South” has a vibrant downtown that hosts outdoor concerts, theater and dining second to none. Stroll next to the Reedy River waterfalls as you enjoy the Historic West End and its art studios, boutique shops, and fine dining. Travel is made easy as Keowee is only one hour from Greenville’s Spartanburg airport or two hours from Atlanta’s Hartsfield airport or Charlotte’s Douglas Airport. Tired of snow? Though a change of seasons is enjoyable, snow is a rarity and when it comes, it disappears in a day or two. Need a snow fix? Just drive 20 minutes into the mountains. 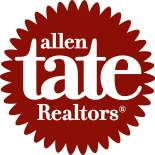 At Allen Tate Realtors, we hope this proves of interest and gives you a feel for why we love this special place in the WORLD.